Montreal. What a city. It seems we have a Montreal connection to two additional assassinations that took place in the US. What are the odds? I mean, really? But not just Montreal, alone. In fact same as John Wilkes Booth and his cronies had ties to Montreal and Toronto. So did James Earl Ray. In both locations, both assassins, had 'friends' in all the right places. Coincidentally, Lee Harvey Oswald, was also identified in Montreal prior to the Kennedy assassination. I recall, vividly, David McGowan discussing the strange Booth family shenanigans. Two coinky dinks stick in my mind to this day. The Booth family, from England, has interesting links. Not sure if David hammered these factoids down but my gut tells me he was right. One, Tony Blair's wife was a Booth https://en.wikipedia.org/wiki/Cherie_Blair. Look up her biographic stuff. Sure enough. Two, Claire Booth Luce another Booth. Well, you know her right? Anyway, Montreal also had James Earl Carter oh wait I mean James Earl Ray, as his escape route too. And of course, the JFK assassination Permindex http://canadianpatriot.org/montreal-permindex-ties-revealed-to-jfk-murder-1001-club/ etc., etc.,etc. Oh well. carry on. First to Montreal before the assassination. Same as John Wilkes Booth. Mr. Ray had been in Canada before - in Montreal in 1967 - after escaping from a penitentiary in Missouri. 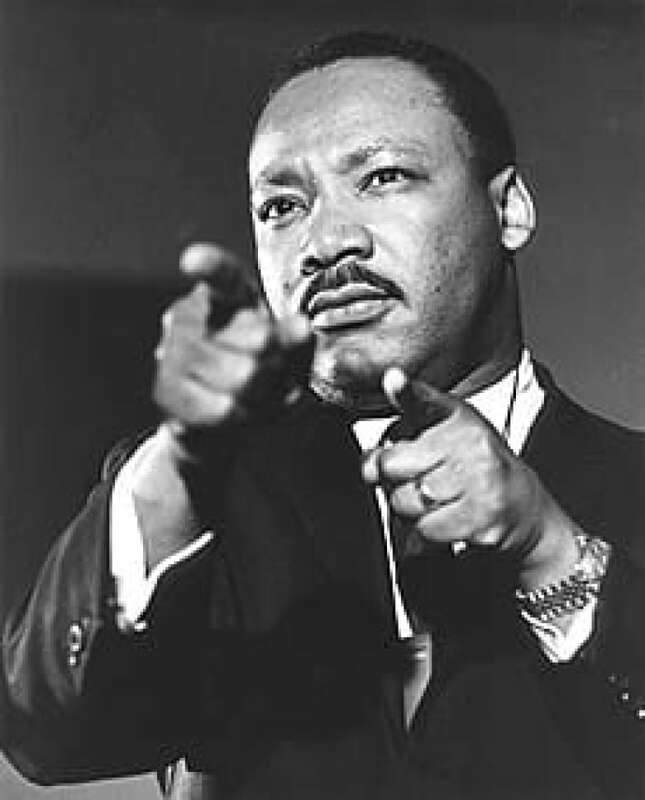 It was in Montreal that he claimed to have met a mysterious character called "Raoul" with whom he was staying at a rooming house in Memphis, Tenn., when Dr. King was gunned down. And able to easily get a Canadian passport. Canadian passport authorities, stung by the ease with which Mr. Ray had been able to obtain the document under false pretences, tightened the rules substantially. Mr. Ray, it appears, assumed various identities by scanning birth notices or death notices - or perhaps the phone book - and was able to get the passport under the name Ramon George Sneyd, a Toronto police officer. Use of that alias and three others from the Toronto area helped fuel the conspiracy theories - among them that the CIA had been involved in Dr. King's murder. James Earl Ray, same as John Wilkes Booth, returns to the US. An assassination takes place. Then James Earl Ray heads back to Canada! Where he hangs out for an extended period in Toronto. "In the worldwide manhunt for Martin Luther King's assassin 40 years ago, the RCMP and Toronto police appear to have overlooked some important clues and never fully nailed down the killer's Canadian connections, a CBC News investigation has found." "Based on unprecedented access to investigative documents in Canada and the U.S., the new material further points to the belief that James Earl Ray, a 40-year-old petty thief and drifter, had help in Canada during his month-long odyssey in Toronto immediately following the assassination as he secured at least three Canadian aliases and a passport and airline ticket to London in the name of a Torontonian"
Ray was spotted acting furtively behind Toronto's new city hall building shortly after his photo appeared in Canadian newspapers as the prime suspect in the King murder. An eyewitness told police that Ray tried to hide his face with a newspaper before departing on foot with a red-haired woman whose identity has never been ascertained. The address Ray gave when stopped for jaywalking in Toronto was never fully explored by police. It turned out to be a brothel run by an ex-con and was the likely source of not only the fake identities but also where he stayed on the two nights his whereabouts in the city could not be verified. That address, 6 Condor Avenue in the east end, near the Canadian National Railway tracks, was circled on a map Ray left behind but it was mislabeled by police with the name of the street on the other side of the tracks. Ray's official explanation of how he picked up at least three of the four aliases he used, of men from a small neighbourhood in Scarborough, has proven to be inaccurate, continuing his pattern of lying to shield those who helped him. Vince Hughes, a retired police officer from Memphis who has accumulated much of the original investigative material in the case, says there are many mysteries involving the murder of Martin Luther King, but that he is still convinced James Earl Ray pulled the trigger. Of the unanswered questions, he says, "Some of those questions revolve around New Orleans, Louisiana. A lot of those questions centre around Toronto." Toronto became the focal point of thousands of conspiracy theorists because of the ease with which Ray hid himself for an entire month without being detected. During that period, he picked up birth certificates, a Canadian passport and a flight to Europe. But what continues to confound many observers is how he managed to acquire four aliases — Eric Galt, John Willard, Paul Bridgman and Ramon Sneyd — of men who lived within a few kilometres of each other in Scarborough. Of the four, the Galt alias is the most perplexing. Ray started using it on his first trip to Canada in the summer of 1967, two months after he escaped from Missouri's state penitentiary. During that trip, it is believed that Ray stopped for one night in Toronto on his way to Montreal. The first night in Montreal, he checked into a hotel under his brother's name. The second night, he signed a lease for an apartment under the name Eric Starvo Galt. That name didn't exist in North America, but there was an Eric Galt from Scarborough whose middle name was St. Vincent. For a few years, until 1966, the real Galt signed his name with an abbreviation of his middle name — St. V., with circles instead of periods to make it read StoVo. A scrawled signature could easily appear to be Eric Starvo Galt. It is not uncommon for convicts on the lam to steal someone else's name from a signature or something. But Ray was in prison from 1960 to 1967. It would appear that someone had to have given him that name. "It's hard to believe it was a coincidence," that Ray dreamed up a name that so closely resembled a Scarborough man's signature, says Hughes. What's more, pointing out the geographic proximity of the real Eric Galt to the homes of the other aliases Ray used, Hughes says: "That narrows the possibility of a coincidence to nearly nothing." Ray continued to use the Galt name until the night before the assassination. On the day of the assassination, April 4, 1968, Ray checked into the flophouse from where he shot King in the motel across the street. He was using the name John Willard. That is not an uncommon name, but a John Willard lived a couple of blocks from the real Eric Galt. Clearly someone provided James Earl Ray with these specific Canadian names to use as false identities prior to shooting MLK. What further heightens interest in Ray's Toronto aliases is that he tells different stories, if not outright lies, on how he came up with them. For example, he first said he took the Galt name from the Chicago phone book, when no such name existed there. Then he claimed he found the Galt name on a road sign on his way up Highway 401 to Montreal, which didn't explain how he added the unique "Starvo" middle name. The lies don't end there. According to Ray, after the assassination he fled by bus from Atlanta to Cincinnati and Detroit, then took a taxi to Windsor and the train to Toronto, arriving on the evening of April 6. He claims he checked into a rooming house that night on Ossington Ave., but the landlady then, and now, claims he arrived on a Monday the 8th of April, two days later. "We're a Polish family who goes to church on Sunday morning," says Lidia Szpakowski who, as an eight-year-old, answered the door to Ray that night. "We know he arrived on the eighth." Ray, however, testified to the U.S. House of Representatives' select committee on assassinations in 1977 that he was not asked for his name when he arrived that Saturday at the Ossington address. On the Monday, he claims he went to the now-defunct Toronto Telegram offices where he looked up the names of two new Toronto aliases in the newspaper's birth announcements from 1932. These would be Ramon George Sneyd, then a Toronto policeman, and Paul Edward Bridgman, then an educational consultant. Newspaper officials told investigators early on that they had no record of anyone visiting their offices for this purpose and the CBC has since discovered that the Sneyd birth notice was not in the Telegram in any event. The two announcements were both only in The Star, albeit on different microfilm rolls. At one point on the Monday, Ray said he was stopped by a policeman in Toronto for jaywalking. When asked for his name and address, Ray said he was Eric S. Galt, and his address was 6 Condor Street. During his committee testimony in 1977, Ray claimed he had that address from a woman he wrote to through a Lonely Hearts Club ad in a girlie magazine. It turns out that 6 Condor was owned and inhabited by Jeannine Roberts and George Kapakos. Roberts was known to police as the madam of the brothel at that address and Kapakos was an ex-con with several underworld contacts. Kapakos is now deceased and the whereabouts of Roberts is not known. Kapakos "wore a shoulder holster with a gun in it," according to Sylvester Chaves, who lived next door to 6 Condor. "He was always armed. The place got shot up one night, too, and the police took to sitting outside in unmarked cars. "All these women would arrive by taxi and there would be men coming or leaving in the wee hours of the morning." Because the jaywalking incident did not come to light until months after Ray's arrest, 6 Condor was never investigated as a possible refuge or for possible collaborators. What's more, police found a map of Toronto that Ray left behind, which was full of circles of places they believe he visited. His two rooming houses were circled, as were the addresses of Bridgman and Sneyd. Police believe he had checked these out to determine if he bore any resemblance to the two men. Another circle is around the home of a waitress named Blanche whom he slept with, while another contains 6 Condor Ave. but is listed in police records as an unexplained location at Leslie and the CNR tracks, so the Condor address was not examined at the time. "There really needs to be a follow-up on the activity around 6 Condor," says Hughes, who was the officer handling the Memphis police radio the night of the assassination. "I think that can shed some light on where Ray was for those missing two days, and quite possibly, how he had the time to come up with the two false identifications he used." In 1968, the largest manhunt in American history prompted daily news updates across the continent. The FBI had several clues to follow from a bundle that Ray dropped outside the flophouse in Memphis and it eventually announced the force was looking for Eric S. Galt, not knowing at the time that it was an alias. It wasn't until April 19 that police linked the murder to James Earl Ray and photographs of him were plastered across North America. Shortly after that, Josef Kroboth, a school custodian, was waiting on Elizabeth St. in downtown Toronto for his wife Edith to finish work at Toronto's then brand new city hall. "He said he had this newspaper in his hand like he was very unsure of himself, sort of looking around, like he was trying to hide." Josef, who died six years ago, reported to police that Ray left the scene with a red-headed woman. He had his wife Edith type up a letter to police but the RCMP file notes say that investigators dismissed the tip because Josef was considered "eccentric" by the police. That's some of what you would call "overlooking"
The RCMP, however, did their bit to help capture Ray. A team in Ottawa examined more than 200,000 passport photos and, on June 1, 1968, they found Ray's Canadian passport application under the name Ramon George Sneyd. The Sneyd application was sent in by the Bloor St. office of Kennedy Travel. Sneyd gave his address as 962 Dundas St. West and the name of the person to notify in case of emergency was Paul Bridgman at 102 Ossington. Sneyd had purchased a May 6 ticket to London, England, for $345. The RCMP sent this information around the world and then descended upon Toronto looking for any leads they could find. As a result, life changed dramatically at the rooming houses run by the Szpakowski family on Ossington, and the Loo family on Dundas Street West. RCMP grilled Ray's landladies for any tidbits of information and turned their rented rooms upside down looking for clues and fingerprints. When Ray was arrested June 8 at Heathrow Airport in London, the landladies were besieged again by hordes of media. Yee Sun Loo recently told CBC News that she used to take her children to the Toronto Islands for the day just to avoid the media onslaught. The Szpakowskis, now living in Brantford, said they eventually moved from Ossington because the attention continued for years. News had also leaked out that a woman had shown up at the Registrar General's office posing as the aunt of Paul Bridgman, another Ray alias, and looking for a copy of his birth certificate. She was denied the certificate because she didn't have any proof of her identity or relationship to Bridgman. However, what really confounded police and the public was that someone on the lam like Ray would have had visitors at his temporary abodes. At Ossington, a small well-dressed man pretending to be a policeman showed up looking for Paul Bridgman shortly after Ray had moved to Dundas. And at Dundas Street, Yee Sun Loo answered the door to a man she described in her limited English as "the fat man." This man handed her an envelope for Sneyd on the same day Ray paid $352 for his flight and passport to England. This news set off a city-wide hunt for "the fat man." Within a week, a stout salesman, requesting anonymity, showed up at the police station saying he was the one being sought. He said he had merely found an envelope at a phone booth near the address on the envelope and was dropping it off as a Good Samaritan. That man, who is now in his 80s and living in Pickering, refuses to discuss his role in the incident. However, when reached by an American professor in 1984, he panicked. "'You can't tell anybody you found me," he told Philip Melanson, who has written a few books on the Martin Luther King Jr. assassination. "You've got to protect my anonymity or they'll kill me." Before Melanson died in 2005, he told CBC News: "Then he threw in these dire phrases about these big gangsters, big money behind Ray, they'll kill anybody, and then he terminated the conversation. I was simply satisfied that (a) he was the guy, and (b) whatever his story, I was correct in my assumption that the lost letter story didn't wash, and that there was more to it." "The more to it I was never able to track." The RCMP file also contains a confession from a Scarborough waitress who says she met Ray at the bar of a now-defunct downtown hotel and spent the night with him at another. She said Ray used a lot of foul language and had a hard time constructing proper sentences and, according to investigators, she had no other worthwhile information to pass on. 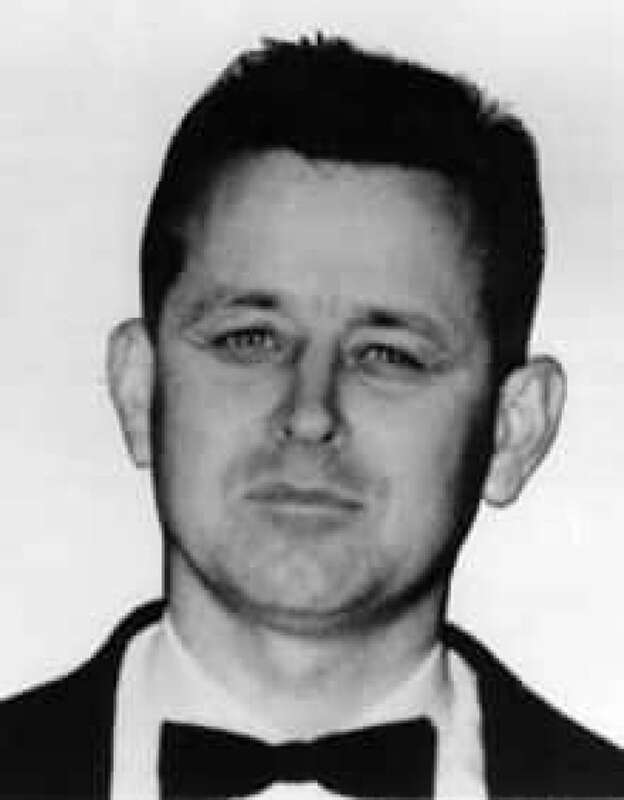 James Earl Ray died in a Tennessee prison in 1998. His brother Jerry, who lives in McMinnville, Tennessee, told CBC News that his brother's connection to Canada was driven by knowledge, gleaned in prison, that it was a good place to acquire a new identity. As for his brother having possible collaborators in Canada, Jerry Ray said that after his brother's arrest, he wanted to tell him about who helped him, but Jerry didn't want to hear, for fear that he would be deemed responsible if this information ever leaked out. When presented with the number of times his brother changed his story about his aliases and even how and when he arrived in Canada, Jerry said that his brother's one endearing trait was that "he wouldn't rat on nobody. Even when he got stabbed in Brushy Mountain (prison), he wouldn't testify against them in court." The RCMP files also include interviews with the aliases Ray used. The real Sneyd said he received a phone call around May 1 from a man with a high-pitched voice who asked him about passports and his date of birth. Ray later said that he phoned both Bridgman and Sneyd to make sure they didn't already have passports. Bridgman said he had, so he only put forward a request under the Sneyd name. The real Eric Galt died in 1991. Willard, Sneyd and Bridgman refused to be interviewed for this story. The two landladies agreed to, albeit reluctantly for fear that their remarks might prompt another round of media inquiries. All of them seem to have had enough of their brief brush with Martin Luther King Jr.'s assassin, 40 years ago. Reality is so much more interesting then tell-a vision. Or theatrical presentations. Well researched, well documented, well written. Good Post! It needs to be mentioned that all of the Patsies: Ray, Oswald and Sirhan were innocent. So whether they had gonnections with Montreal is beside that main point. But it has to be mentioned also that Montreal has a very powerful Jewish community with gonnections to New York. Don't know if you've seen this particular online book about the murder of Lincoln but it has a bunch of witness statements and there are 84 references to Montreal.